The KWeb Fest opened in Seoul on Thursday, Aug. 18, at the Convention and Exhibition Center. 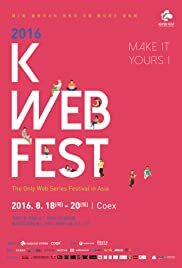 Billed as Asia's only festival of internet-based dramas, Koreans were given the chance to watch web series from different genres and nationalities in one venue. Featured in the festival, with the theme "Make it Yours," are 107 titles from 22 nations, reported Yonhap. Among the dramas featured are "Dramaworld," a co-production among U.S., China and South Korea which portrays the clichés of Hallyus.